When reflecting on the life of Judith Stilley, it is clear to see that there was no greater gift in her life than her family. She was such a strong, resilient, and hardworking woman who gave everything she did her all. Judy was a woman of many interests who was rarely one to be still, and her insatiable love for learning was her constant companion. She was a loving and devoted mother if ever there was one, but she just may have argued that nothing was better than becoming a grandmother later in life. Life will never be the same without Judy here, but she leaves behind a timeless legacy that her loved ones will proudly carry on in her footsteps. It seems only fitting that Judy’s journey began during a time that was as lively as she was. It was the 1950s when televisions were becoming part of our homes in record numbers, which brought us new glimpses into the lives of others with shows like I Love Lucy and Father Knows Best. 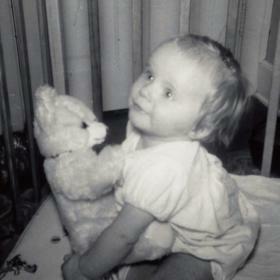 It was on June 28, 1951, that Judith Kay was welcomed into the world by her parents, Erwin and Dorothy Holmquist, in Grand Rapids, Michigan. She was the oldest of four girls as she was later joined in her family by her sisters, Constance, Joanne, and Sharon. Judy’s father worked as a welder while her mother focused her time and attention at home. During her earliest years, their family lived in Grand Rapids, but they later moved to Peach Ridge, NW. 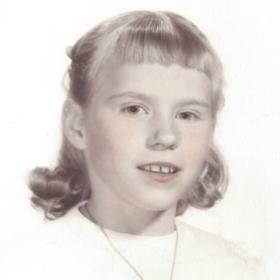 Judy took piano lessons and attended local schools including West Leonard Elementary. 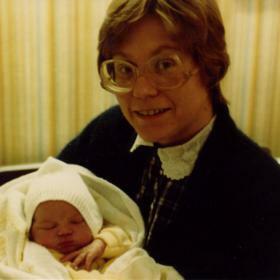 She later went on to Kenowa Hills High School where she excelled in her studies. Judy took part in the local 4-H, but for the most part she just focused on her studies. After graduating from high school in 1969, she attended Grand Rapids Junior College for core classes and then earned a BA in History from WMU as well as a master’s in library science. Judy was always so strong and independent. She took a job in the library with Grand Rapids Baptist College. For a time she moved to Indiana and then Illinois, but Judy then returned to the Grand Rapids Library and spent many years working for the Kent District Library. She also raised her three children, Brian, Laura, and Eric as a single mother after being divorced. As if juggling that wasn’t enough, she also homeschooled her children as she was a firm believer in quality education. In addition to her devotion to her own children, Judy also paved the way for her sisters to go to college, which they all did. It was her education that allowed her to provide a wonderful life for her children on her own. In everything she did, Judy was deeply devoted to her children. She liked taking them on various field trips, usually going places that had an educational component like Frederik Meijer Gardens, the zoo, various theaters, and museums. Among the family favorites were trips to Mammoth Cave, Greenfield Village, Chicago museums, and several local field trips. It has been said that Judy was the original Google as she would research anything she was asked about. She looked forward to retirement, too, since it would give her more time for visiting museums. As her family and friends can attest, Judy was always on the go. Her love for learning made her someone who loved to read, she was very into genealogy, and she also enjoyed gardening with both flowers and vegetables. Although Judy enjoyed cooking, she did not enjoy doing the dishes. She liked visiting the Parade of Homes in the spring as she loved efficiency and had a great attention to detail so she was intrigued by the layout not the design features. Although she was diagnosed with endometrial cancer in 2013, Judy didn’t let it slow her down. In 2014, she and her sister took an amazing trip to Pennsylvania - they actually called this trip a pilgrimage. The sisters visited the Hans Herr house, which was constructed by a distant relative nearly 300 years ago. This was actually the first house in Lancaster County, and of course they also made a stop at the Hershey factory. Judy enjoyed classical music, piano music, or WCSG, and music was usually on in the background while doing chores. She liked playing card games like Skipbo and Uno, often playing them with her kids when they were younger. Although Judy experienced so many amazing things, what made these experiences so extraordinary was sharing them with the people she loved. She looked forward to having lunch with her librarian friends, often at Arnie’s, and holiday events and family gatherings were her most favorite things. Being with her family became all the more special when her grandson, Elijah, was born as he was her greatest source of pride and joy. Judy’s kids have always said that she fought cancer so hard so that they could have more family time together. Described as strong, ambitious, and determined, Judith K. Stilley was a blessing to everyone around her. She was a natural teacher and nurturer who found joy in even the simplest of things like sunsets, the sound of the waves, and just spending time surrounded by nature. Judy was deeply devoted to her family, and a friend of Judy’s was a friend for life. Deeply loved, she will be forever missed. STILLEY – Judith K. Stilley aged 66, of Grand Rapids, passed away on January 28, 2018. She was preceded in death by her parents, Erwin and Dorothy Holmquist; and brother-in-law, Roy Graham. She is survived by her children, Brian (Jen) Stilley, Laura (Mitch Kett) Stilley, and Eric Stilley; grandson, Elijah; sisters, Constance Graham, Joanne (Dave) Van Holstyn, and Sharon (Scott) Nauta; and several nieces and nephews. The Funeral Service will be held at 11 AM on Thursday, February 1, 2018 at Heritage Life Story Funeral Home, 2120 Lake Michigan Dr. NW. Friends and family will gather on Wednesday from 6-8 PM at the funeral home and for one hour prior to Thursday’s service. Interment in Rosedale Memorial Park. 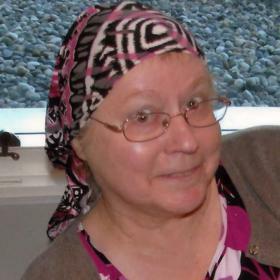 In lieu of flowers, contributions in her memory may be made to Lacks Cancer Center or C.S. Mott Children’s Hospital – Pediatric Hematology/Oncology. 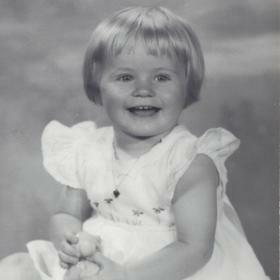 Please visit www.lifestorynet.com to read Judy’s lifestory, archive a memory, photo, or sign the guestbook online.